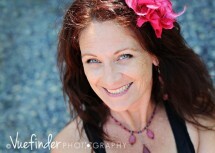 Jolie Cash is the founder of Nature’s Whisper School of Yoga, Nature’s Whisper Natural Herb products and Hot Mama Yoga. She is committed to the empowerment of all beings through the teachings of authenticity and using all of life’s lessons & pleasures for spiritual growth. Jolie’s teaching focus is on the integration of wisdom and intuition, in order to release the old to make room for the new. She teaches a fluid style creating a garland of asana (postures), pranayama (breathing) and kriyas(cleansings). She also teaches a restorative (spinal) style of Bliss Yoga offering balance to a regular practice. When Jolie isn’t teaching Yoga, she is training others how to teach yoga.She is a natural birth advocate, an author, inspirational speaker of empowering women and all around baby lover. Jolie also teaches regular workshops, Teacher Training’s and retreats throughout the United States. Her teachings rarely end at the mat. Marcia Pistotti, M.A., is a dancer, yogini and a mother of two beautiful children. She is a freelance peace activist who believes in working for a more just and peaceful world through creative expression, compassionate social action, and cultivating a conscious community. She has completed over 300 hours of yoga teacher training, including prenatal, postnatal, and yoga for at-risk youth. Marcia began teaching yoga at an after-school program for children in low-income housing, and at a charter school for youth in foster care. She continued her teacher training at Nature’s Whisper while expecting her first child, and was thrilled to discover such a vibrant community of inspiring mothers and yogi(ni)s. She has experienced firsthand the healing and revitalizing power of yoga, and hopes to share this with her students. When she is not teaching yoga, surfing, rock climbing with her husband, or taking her daughter on adventures, Marcia teaches peace studies at San Diego City College. She looks forward to sharing her practice with you and cultivating peace in the world, beginning in our own hearts. Ally Cho has been studying yoga since 2004, but motherhood nudged her into her first yoga teacher training program while living in the San Francisco Bay Area. What began as a journey to reconnect with herself and deepen her own yoga practice morphed into a profound passion for sharing yoga on and off the mat. She has completed over 300 hours of yoga teacher training, including prenatal and postnatal yoga [with Jane Austin in San Francisco] and restorative yoga with Judith Hanson Lasater, and continues to tickle her intellectual curiosity for yoga through studying on her own and learning from the larger yoga community. She lives in San Diego with her husband and their daughter, who inspires them to cherish time over material things, love without hesitation, and rest whenever possible. body and soul through creative movement. Having completed her 200-hour Prana Vinyasa® Yoga certification in Raleigh, NC she transitioned to the west coast and currently resides in San Diego, studying under global Prana Vinyasa teacher, Shiva Rea. include pre-natal and Yoga Trance Dance® offerings. Sarah Dobosiewicz is a creative, energetic, and compassionate individual who has been engaging in her personal yoga practice for 4 years to support a happy and healthy lifestyle. Through yoga she has found peace, joy, and calmness in a busy world. She continues to achieve both inner and outer strength to reflect a happy and healthy lifestyle. Sarah has completed a 25 hour children’s yoga teacher certification through Hapa Yoga Studio in November 2015; and a 95 hour children’s yoga teacher certification with an emphasis on autism and special needs through Asana’s for Autism and Special Needs by Shawnee Thornton Hardy in November 2016. Additionally, Sarah has been a registered and licensed occupational therapist since 2012. She has worked as a pediatric occupational therapist across a variety of settings including early intervention, preschool, elementary school, private outpatient clinic and hospital based outpatient clinic. She has worked with a variety of pediatric ages and varying diagnoses and levels of difficulties. Sarah enjoys taking the synergies between occupational therapy and traditional children’s yoga to create self empowering, fun, interactive, educational and safe therapeutic yoga practices for children. She uses various aspects of teaching including partner yoga, kundalini, gentle yoga, and restorative yoga; in addition to various props, visuals, music, songs, and games. Her yoga sessions bring children together to provide opportunities to develop various skills including socialization, self-regulation, coping skills, self-esteem, sensory processing skills, fine and gross motor skills. Sarah’s goal is to empower children of all abilities to let their inner light shine by providing yoga in a fun, educational and safe way to promote and support health, happiness, peace and love. Charisse Sciuva has been a birth worker for over 15 years. She has a warm, grounded spirit that permeates the energy of the birthing, massage, or class room. She has a rich background in yoga and movement, and is a Reiki Practitioner, a certified doula with DONA International, and an Advanced Mentor with Birthing From Within®. A gifted and competent bodyworker, Charisse draws upon her embodied intuition to connect with mother and baby, to help all involved open to what the next moment needs. In addition to her own massage practice, (a Certified Massage Therapist) she teaches Essentials of Massage and Thai Massage at Mueller College. Charisse has experience supporting families giving birth at home, in a birth center, or in a hospital. In addition to her extensive experience in private practice, she has volunteered at both UCSD’s Birth Center (Heart and Hands program) and Best Start Birth Center. She has completed training in optimal fetal positioning with Gail Tully’s Spinning Babies, Birthing From Within’s Birth Story Medicine® workshop, and attended and is helping to support midwife Nicole Morales’ Storytelling, Healing, and the Birthworker’s Journey workshop. She completed training as an Advanced Birth Story Listener having worked closely with Pam England, the Creator of Birthing From Within. She has also completed her 200 hr yoga teacher training at Nature’s Whisper School of Yoga. Robin Naughton, BS, CPT is a Corrective Exercise Specialist with her degree in Exercise Physiology. She specializes in chronic pain management, postural imbalances, and functional fitness. She has completed trainings/certifications in Stott Pilates, Symmetry Postural Therapy, Foundation Training, and TRX. Robin owns Breathe Fitness, a private personal training studio in Ocean Beach where she works one-on-one, with a focus on form and alignment, to help clients meet their health and fitness goals. Experiencing firsthand the underserved needs of the postpartum mother, and parents in general, she has developed ErgoMOMics, a program to help moms and dads reconnect with their core and learn proper movement techniques to manage the physical stresses of caring for their children.